It's really no secret that I dislike Power Rangers. Sure, I used to watch it as a child but it just doesn't give me as much satisfaction even before I discovered more of Super Sentai. Until now, I still think about my discovery of both post-Jetman and pre-Zyuranger during the early 2000s or when I had my Super Sentai hangovers, Tokusatsu breaks and Sentai snob moments. But I do want to admit I have shallow reasons to think Super Sentai is better than Power Rangers and why I tend to think I'm better off not watching the latter. I tend to think like, "It's because Super Sentai came first. Like WTF? I tend to forget that some of my favorite Japanese shows were based on non-Japanese shows. I could talk about how I feel Japanese shows based on American shows or how Taiwanese and Korean shows based on Japanese shows make their own footage and film everything themselves. I still feel it's awkward to use footage from Super Sentai to produce Power Rangers even if Toei allows it. But I thought how often I tend to think that Super Sentai is better because it came first. I could talk about a couple of stuff where it came first doesn't work. Do you remember the Mighty Morphin' three parter called "A Friend in Need"? The stage shows came first then "A Friend in Need" was taking the idea to the television. I could rant again and again to how the Shinkenger/Decade crossover was miles better than "A Friend in Need" as well as its successors. But the argument is which came first? It certainly wasn't the Shinkenger crossover with Decade nor its successors. It was "A Friend in Need" that came first but the execution was so horrible. My reason for disliking Power Rangers should not be because it came next but because of how often implementation has been so faulty. Should I mention that some of my favorite shows aren't always the original versions from Japan or any country? 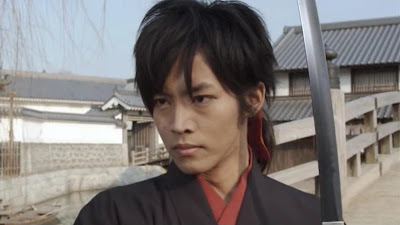 I admit that I prefer Janperson over its inspiration Robocop, the Japanese Powerpuff Girls Z over the American original, I prefer the Taiwanese Meteor Garden over Hana Yori Dango and some South Korean TV dramas based on Anime or Manga are more preferable to me than the Anime or Manga in terms of plot. 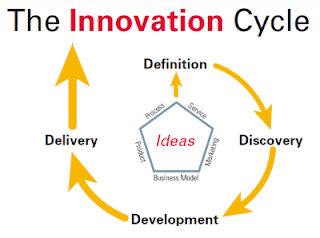 This proves that I should care more about the implementation than which came first. I admit I do love the Japanese culture and I can't deny how Japan revolutionized the world of electronics and entertainment. I can't deny how I'm glad to have bought a Playstation 3 instead of an X-Box One five years ago. I can't deny how much Japanese shows did influence several Taiwanese and South Korean companies such as Meteor Garden or the South Korean version of City Hunter. I can't forget how I got bored with a lot of American shows because of how shallow they can get never mind I can also be that shallow. Speaking of Japanese culture I don't think it's always been the best. As much as I still love having Japanese inventions and Japanese made stuff but not everything Japanese is always better. I'm not all too fond of Japanese food as there's other alternatives such as Korean food. You could think about how Japanese entertainment also has its own faulty entries. One good example I could name is how some of Capcom's games such as Street Fighter V and Marvel vs. Capcom 3 fail to deliver content-rich gameplay in the digital age. They're supposed to be new school so they should strive to get better but sigh it's always disappointing when something new school fails to deliver. As much as I acknowledge that the Playstation is a Japanese invention but some of the games I enjoy aren't Japanese-made. Take for example Mortal Kombat's reboot from Netherrealm Studios. Sure it has some Japanese inspiration but it's an American game. On the other hand, I'd still like to blast some Power Rangers snobs who think their beloved show is better because its American and it's in English. Nationality and language don't necessarily make a show better. Should I mention a lot of shows I enjoy for the plot aren't in English though I still have the bad habit of watching some shows for the attractive female lead? Strange but true. I admit that a lot of American theme songs can be that bad to my ears. I still think most Power Rangers theme songs are THAT BAD and the Mighty Morphin' theme is getting overused. I still think that Kamen Rider Ryuki's opening theme is better than Kamen Rider Dragon Knight's. I still think the soundtrack of Super Sentai is better than the soundtrack of Power Rangers. Is it me or is it all about cultural differences why the musical styles of Super Sentai is different than Power Rangers? This one had me thinking of certain cases in Super Sentai or Kamen Rider had better music but not better writing. As much I prefer the music of the Showa era Kamen Riders but I prefer the Heiseiera Kamen Riders. I still don't find myself admiring the musical scores of the Heisei era Kamen Riders but I still prefer to watch them over Showa era Kamen Riders. For Super Sentai seasons I could name some where the soundtrack isn't that good but man is the story good. how Fiveman may have the better opening theme song but GoGoFive has the better plot. how Abaranger may not have the better theme song but it delivers the dinosaur theme better than Zyuranger. On the other hand, I still feel like that Super Sentai music still has its beats done right. They put also different types of music for different types of situations. But again, good music is just part of the package isn't it? Super Sentai has a lot of amazing moments that usually don't make it into Power Rangers. 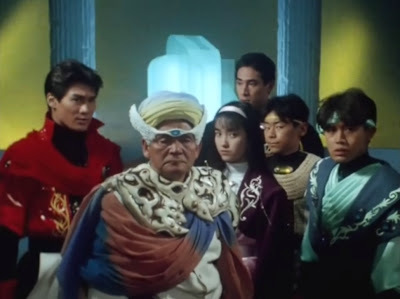 I could still gloat about how Zyuranger's Green With Evil has better action and plot since I love to poke at how Jason David Frank is just an overrated guy compared to Hiroshi Miyauchi. Dairanger has a lot of really badass action compared to Mighty Morphin' Season Two. Hurricanger has better action scenes than Ninja Storm or how Dekaranger has better action than Power Rangers SPD. I could still go on and on while I could ignore the obvious for all I care. I can't deny that Power Rangers still has its own fight scenes done by the main cast of the season. There are a few moments I thought that Power Rangers has some moments where I'm impressed. Chad Lee's fight with Cylopter using karate (though he should have been a karate instructor to a group of kids instead for that episode) appeals to me more than Daimon's use of judo to execute the milk tornado drop. Another is there are times Jennifer in Time Force showed some amazing moves against Steelix. 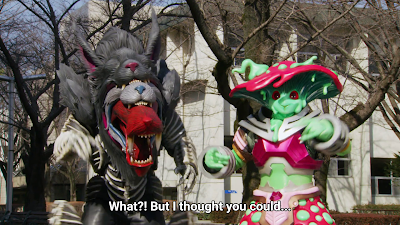 Both Kyoryuger and Dino Charge have everyone doing the best they can to give impressive fight scenes. 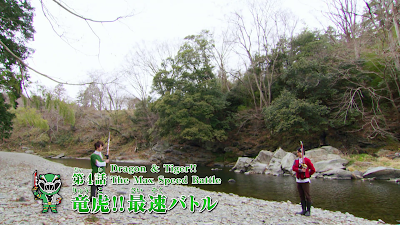 Speaking of action scenes I could name some instances where a less intense Super Sentai season may be better. My favorite examples might be how I prefer Abaranger over Zyuranger, Hurricanger over Kakuranger and maybe I prefer Gekiranger over Dairanger. As much as the action scenes of Zyuranger, Kakuranger and Dairanger are better but I tend to prefer the way storytelling was done with Abaranger, Hurricanger and Gekiranger. It's really stupid how people can miss the point when a good show has a lot of eye candy while they don't care if a bad show has lots of eye candy. I personally can be very guilty of that. I couldn't forget why I even bothered to watch Power Rangers Megafailed for the eye candy. That show was really horrible and should be considered rock bottom or even below rock bottom in terms of quality. I can't even bear to rewatch it even for shallow reasons. On the other hand, I usually find myself watching certain Super Sentai seasons for the eye candy rather than the plot. Maybe I didn't find a lot of the girls in post-Gokaiger all that attractive maybe except for Haruka Tateishi in Zyuohger. Some of them are are cute but not too hot though I tend to use Ninninger's girls as a stupid excuse to bash Ninja Steel. I could give a bit of self-contradiction here. People know I find Kimberly way hotter than Mei as well as every Power Rangers or Super Sentai girl. I tend to bash poor Mei (at times) but maybe not as as bad as poor Tori. I still enjoy Mei's amazing stuntwork but I tend to ignore that whenever Kimberly's around. I end up picking Zyuranger over Mighty Morphin' even when I don't find Mei all that attractive. I could admit that there are times I find Kira Ford more attractive than Ranru Itsuki but I pick Abaranger over Dino Thunder. I hate how I tend to flip flop for such a silly reason. On the other hand, I still find myself thinking with something as really stupid as Hurricanger is better than Ninja Storm because Nanami Nono is way hotter than Tori Hanson. Somehow, watching some old school Super Sentai where eye candy wasn't all that hot made me rethink my ways. I still think Nanami is way hotter than Megumi Misaki but Liveman is the better show over Hurricanger. Sure, Hurricanger did improve some things but I prefer Liveman's plot for the better. I don't find the girls in Changeman or Flashman all that attractive but those are pretty good shows in terms of plot. I hate to admit how I tend to watch Super Sentai for the plot then I tend to watch it all for the eye candy when it's just a bonus and the show's implementation is way more important. Same, tbh. I mean, I do prefer Sentai but I still like the MMPR soundtrack compared to that of Sentai. Only reason being is that it got me into heavy music at a young age, and I now work in that industry. I do respect the classic themes, but love heavy guitars. That comment up there was what i was talking about why do attack each other again?